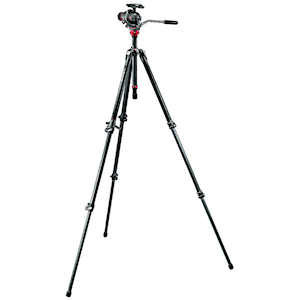 The Manfrotto 755CX3 tripod is a video tripod featuring carbon fiber leg tubes, aluminum column, and magnesium/aluminum castings. It has 3 leg sections, a minimum height of 18.31" and a maximum height of 54.72". 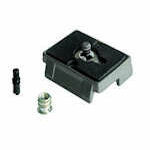 The rapid center column can further raise the maximum height to 64.57". 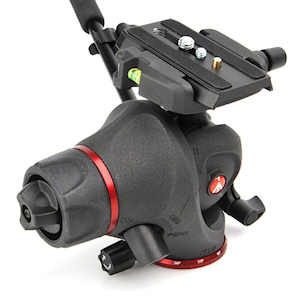 For enhanced operability, the tripod features a magnesium photo-movie head with a Q5 quick release plate ideal for DSLR cameras, and a built-in 50mm head bowl with a half ball leveling system locked by a detachable rotating grip - this system allows you to switch between photo and video mode where in photo mode you can smoothly turn the head in all directions like a ball head, whereas the video mode allows fluid panning and tilting for smooth video. 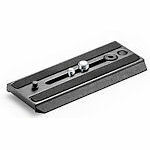 When the tripod is spread on uneven grounds, the leveling system, in conjunction with a bubble spirit level, allows you to level your camera without needing to make micro adjustments to each individual leg. Equipped with a spring-loaded counter balance mechanism, the tripod head ensures optimum balance and helps for quick setup. 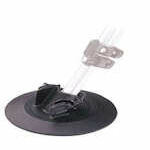 A pan bar with a rest clip comes with the tripod head, and is reversible for right or left hand users. Max. Ht. (col. ext.) 69.88 in. Max. Ht. (col. ret.) 60.04 in. Product Weight (lbs) 7.08 lbs. 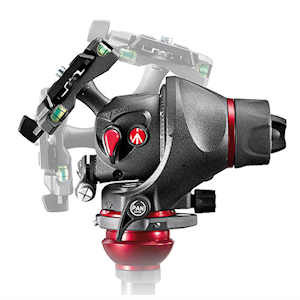 "Limited Conventional Warranty Extension", offered by Manfrotto as a special extension to the "standard" Warranty and is free of charge up to 5 years after the original purchase. To take advantage of the “Limited Conventional Warranty Extension” scheme, you must register your product with Manfrotto within 12 months from the date of purchase. 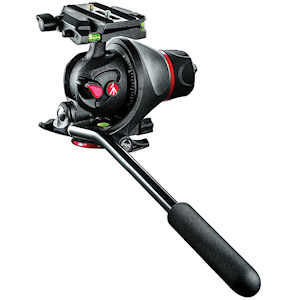 Please go to http://www.manfrotto.com/warranty to register for the extended warranty. Please ensure that you keep your receipt as proof of purchase for the warranty to be valid: you will need to send Manfrotto your receipt when you service or repair your product under warranty.